A buffalo display is seen in the closed Southern Ute Cultural Center & Museum on Tuesday in Ignacio. The Southern Ute tribal council is calling for the dissolution of the museum’s nonprofit status. As tribal council and the Southern Ute Cultural Center & Museum’s board of directors negotiate dissolving the museum’s nonprofit designation, ambiguity surrounds the future of the museum. 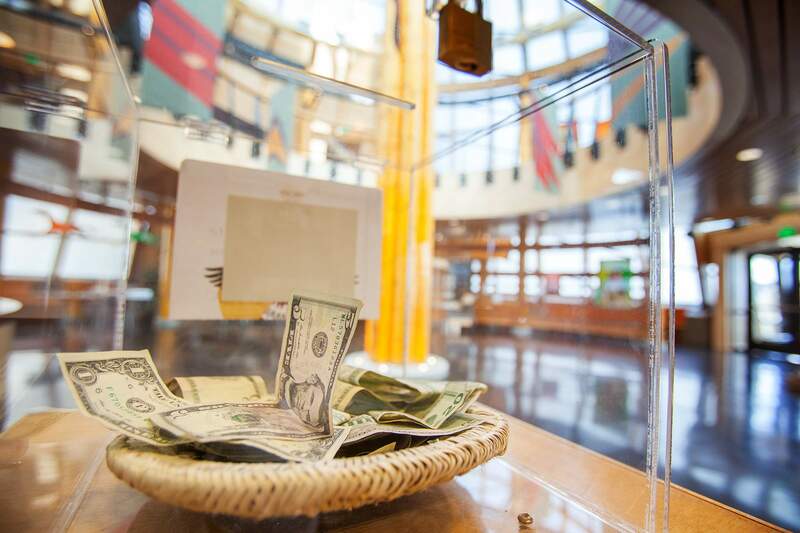 Money sits in a donation box in the front lobby of the Southern Ute Cultural Center & Museum on Tuesday in Ignacio. 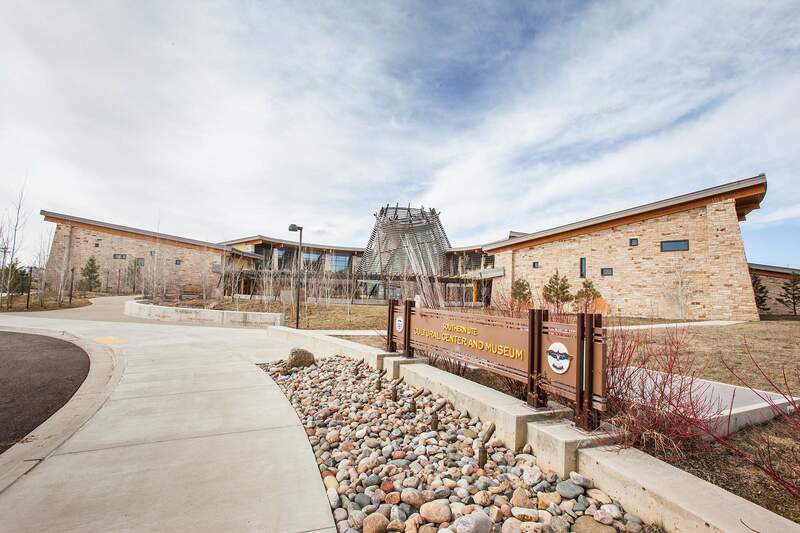 The Southern Ute tribal council is calling for the dissolution of the Southern Ute Cultural Center & Museum’s nonprofit status, which leaves questions about jobs, the exhibits and the fate of the facility. After negotiating for months, council members and the museum board of directors are expected to soon sign an agreement to dismantle the 501c3 designation. Five years after the nonprofit opened what True West Magazine dubbed in 2012 the “top history museum of the year,” the facility could fall under tribal management. Shirley Cloud-Lane, museum director, called the deal extortion and said she and staff have hung for months in limbo, not knowing if they’ll lose their jobs or what the council intends to do. Cloud-Lane said tribal council are withholding paychecks, refusing to pay the museum’s seven staff members until the dissolution agreement is signed. Museum personnel believe the crux of the issue is that the council wants to replace them with tribal members. “We have nothing to bargain except our expertise and our collection,” Cloud-Lane said. In January, Ronald Yellowbird, vice-chairman of the museum board of directors, wrote in an opinion piece to The Durango Herald that the tribal council is closing its pocketbook on the museum and expressed doubts about the implications of giving up nonprofit designation. 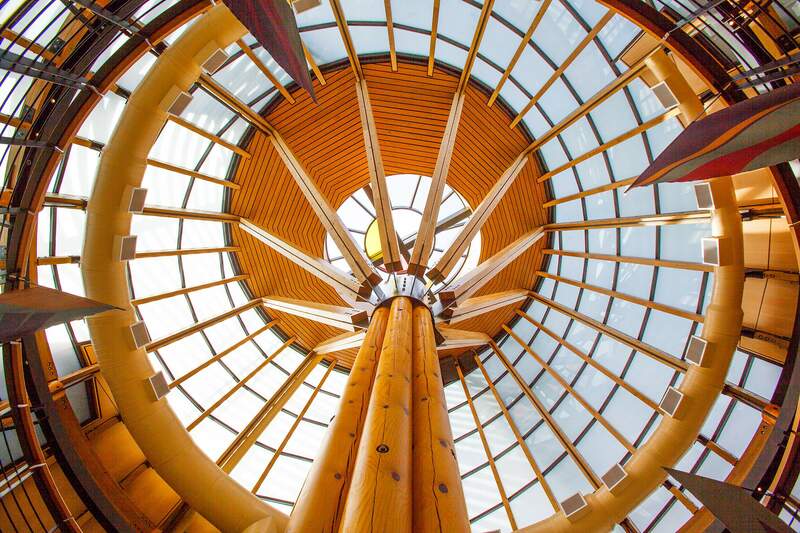 “The tribal council hears complaints from disgruntled board members, former employees and a handful of tribal members who believe they can do a better job even though they lack the educational expertise, knowledge and training in the museum field,” Yellowbird wrote. He protested the lack of a transition plan, communication with staff and a public hearing for the dissolution. The 30,000-square-foot facility holds more than 1,500 items, including a sacred vault of native artifacts. The museum has struggled since opening in June 2011 on 8.5 acres near the Sky Ute Casino and Resort. The facility replaced the museum next to the former casino on Colorado Highway 172, which closed in 2009. Tribal council agreed to provide $5 million for museum operations on the condition the museum would match that and achieve sustainability in five years – by Sept. 30, 2015. Negotiations inflamed when the deadline passed, but the museum says raising $5 million is an impossible goal. Museum staff refused to provide visitation numbers for 2015, but because of dwindling guests, the museum began closing on Sundays in 2013. Since opening, the annual operating budget has been about $1 million, according to tax documents. Personnel say this year they’re working with $700,000, which council provides. Cloud-Lane is the museum’s third director, and she thinks the high turnover set the museum up for failure. She also attributed the museum’s struggles to a decline in visitors, a result of the center’s isolated location. Museum officials refused to share legal documents with the Herald, including the funding contract that expired last year and the dissolution agreement because it is not final. Tribal council indicated plans to issue a news release once negotiations are complete, but when that will happen is unclear. To dismantle a nonprofit, an organization files a document with the secretary of state and notifies the Department of Revenue. However, dividing assets and negotiating collections will be an internal and likely prolonged affair. Once nonprofit status dissolves, the tribe must renegotiate the collections with the donors or give them back. Cloud-Lane estimated that securing the collections again could take one to two years. Furthermore, staff says the tribal council is without the professionalism needed to set new terms with collection owners, or hire qualified staff. Ripple effects of the negotiations are unclear, but those with ties to the museum are troubled by the news, including affiliates of the Colorado and New Mexico scenic byway, on which the museum is one of the first stops.